"David Gleb's competent direction is not enough to save this horror dud"
David Gelb's newest film is a complete mystery. Known primarily for his beautifully insightful documentary, Jiro Dreams of Sushi, Gelb's decision to make an early-year horror movie came as a complete shock. Add two comedically-inclined actors (Donald Glover and Mark Duplass) and one begins to wonder why this film even exists. 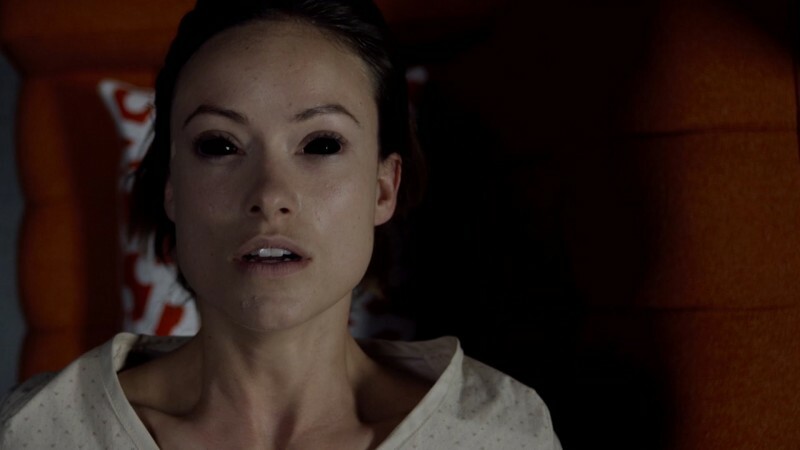 Researchers Frank (Duplass) and Zoe (Olivia Wilde) may have unlocked the holy grail of biological inquiry – the cure for death. 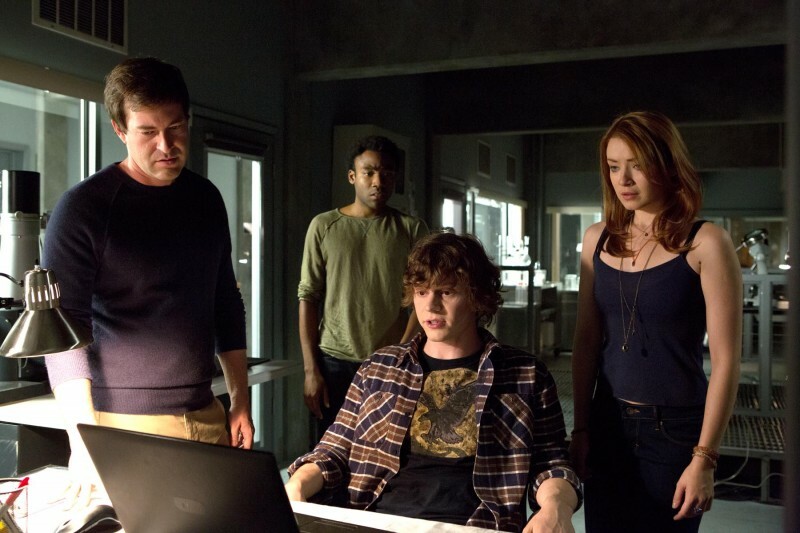 Working alongside two other scientists, Clay (Evan Peters) and Niko (Glover), the two have developed a serum to bring long-dead animals back to life. The aptly named “Lazarus Serum” has begun a trial run, with no current, lasting, success. Garnering the attention of a budding documentarian (Eva, played by Sarah Bolger), the four scientists are headed for a breakthrough. An insight into the compound's structure leads to the team's first success, an old dog named Rocky. Giddy with the prospect of bringing life to the deceased, the team keeps a close eye on the re-animated Rocky, and plans to press forward with more experiments. The team's hopes are crushed when the corporation funding their research is bought out, forcing an end to their grant, and the seizure of all intellectual property. Years of hard work have seemingly gone down the drain, until Frank and Zoe decide to replicate, and document the successful experiment with some Lazarus Serum the enterprising Zoe has squirreled away. Breaking into the time-locked lab after hours, the team begins a duplicate experiment, only to be met with disastrous results. Zoe is electrocuted, and is unable to be revived. Unable to let go, Frank switches his animal test subject for a human counterpart; willing to play God, no matter the cost. David Gelb's competency behind the camera is apparent, with an intoxicating yet unsettling opening credit sequence. Throughout the film, Gelb demonstrates his eye for cinematography and framing, injecting a conflicting artistry to the overwhelmingly dull Lazarus Effect. Aided by skillful cinematographer, Michael Fimognari, Gelb's film has the eerie presence of a restless spirit. A camera unhindered by the limitations of gravity floats throughout the film, positioning itself wherever the predictable action takes it, producing some of the best, and creepiest, single shots in recent (horror) memory. Whether a half-lit close up of Zoe in an otherwise black room, or a haunting overhead shot of her as she slowly begins to levitate, Gelb has a firm grasp on mood and tension. Gelb realizes that exposition is not necessary to induce a panic in his audience; his flair for the dramatic a refreshing addition to the recently-stagnant genre. As solid as Gelb's direction is, it cannot save The Lazarus Effect from a poor script, and underutilized actors. Astoundingly uneven, the screenplay is a mishmash of religious ideology, nonsensical science, and overwrought construction. Never having worked in research, I cannot say this with 100% certainty, but if I were working to bring a deceased animal back from “the beyond,” I might invest some of my multi-million dollar grant in some straps for my surgical table and I might NOT BRING THE DOG HOME. Countless frustrating inconsistencies pockmark the film, from Zoe complaining about Frank's working too hard on the project while she is the only one currently still working, to Niko's apparent, yet narratively-pointless love for Zoe. Just before the Lazarus project is shut down, the Dean tells Frank that “83% of the student body identifies as religious” compounded with alumni donors and faculty, and therefore his project to bring back the dead has been terminated. The film understandably needs religious (Christian) elements to justify its premise, but the ignorant blindness shown by a dean who would so casually shut down a project with unlimited financial and moral upside, is a downright offensive example of religious ideology. The characters are every bit as baffling as the actors chosen to play them. The comedic genius of Donald Glover and Mark Duplass are completely abandoned in favor of some half-baked personalities, complete with nerdy shyness and reckless abandon. Evan Peters is chosen to be the token funnyman as the pot-smoking research genius, in a part that both suits him, and raises more questions about why Glover and Duplass were so underutilized. Olivia Wilde and Sarah Bolger are stuck with equally one-dimensional character constructs, with Wilde's personality only shifting after she is unceremoniously resurrected. Bolger is the shy and unassuming “sacrificial virgin” of the film, only in place to provide a final hurdle for the undead villain and ask dumb questions about the afterlife. Perhaps the only way for David Gleb to make his transition into feature films, or maybe just a misstep, The Lazarus Effect is hindered by poor screenwriting and vacuous characters. An eerie mood, clever camera angles, and a few jump scares are not enough to make The Lazarus Effect a worthwhile investment of its meager 83-minute run time.